Frances qualified from UCD with an Honours degree in Law in 1989 and a Diploma in European Law in 1990. She completed her Apprenticeship in Dublin and qualified as a Solicitor in 1993. 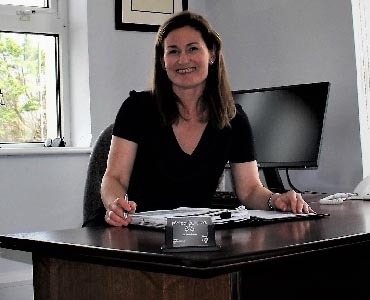 She worked as a Commercial Litigation Paralegal in Australia for a short period of time and then as a commercial and residential conveyancer in the Isle of Man before returning home to Ireland to work in the property department of William Fry. After a period in Dublin Frances moved to Galway where she has been working since 1999 as a General Practice Solicitor. From this experience Frances has developed a broad range of legal expertise and advises on a wide range of legal matters.